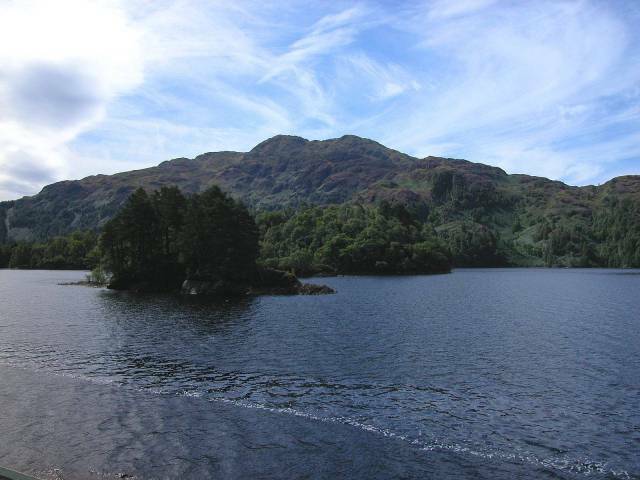 Alongside Loch Katrine is a tarmaced path, suitable for the least mobile of people. The first quarter of an hour is full of touristy types, many of them shouting far too loudly, refusing to move over from walking four abreast, taking innumerable photo of inanely grinning wife in front of natural beauty (yawn, yawn), and the bullying bicycles - why do people rush along on their bicycles, never pausing to sit, reflect, see, think, but always determined to concentrate only on their quasi-fascist addiction to exercise. After the first few hundred yards, most people turn back - they've seen it, they're bored, and we were left almost in solitude to gaze at the majesty of the mountains and peer at the glories of nature.